Your membership in the state’s premier professional organization serving the staffing industry keeps you ahead in a constantly changing field. 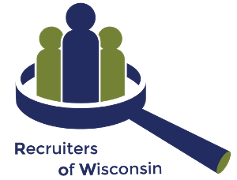 Let the resources and membership benefits of Recruiters of Wisconsin [ROW] help your firm achieve the success you desire. Whether your services are in direct hire, contract placement, temporary staffing or executive search, ROW is for you. Attend chapter meetings on relevant industry topics held several times a year. Participate in the roundtable discussions, networking sessions, and training by nationally recognized speakers. Take advantage of training classes, available to members planning to take the CPC and CTS examinations. Use our extensive library of training and motivational materials available to our members. Recieve our quarterly newsletter with articles, letters, book reviews, and legislative updates that can help you understand the changing recruiting industry. Inclusion in our online ROW Membership Directory. Opportunities to meet fellow ROW members and share information regarding your business concerns, industry trends, new staffing strategies, and more. Participate in the ROW Forum where members can discuss split business as well as other relevant business topics. Services of our arbitration/ethics committee to help you resolve problems with other agencies or with employers. Updates regarding legislative matters to keep you apprised of pending legislation that may have an impact on your business.